No need to visit Duke Energy Center to get energetic pre-event promotions! 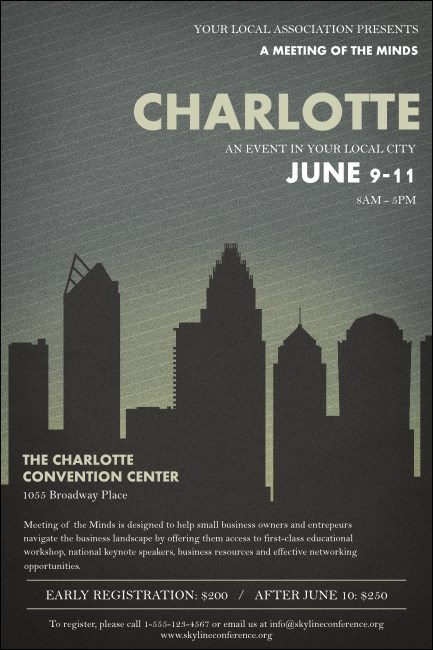 Just print Charlotte Posters and advertise your next Queen City event in advance. Get the best event attendance you can in the Hornet’s Nest with Posters that feature the shadow of Uptown’s skyline against and gray background with white stripes. The Home of NASCAR is where our heart is at TicketPrinting.com!